The father of one of my good friends in high school did his Mormon mission in Italy. I believe it was somewhere in Tuscany, maybe even Florence. I ate my first real Italian meal at their house. The time he spent in Italy inspired him to live a life bent towards classical learning, and later he would be my professor in Latin and Ancient Greek in college. 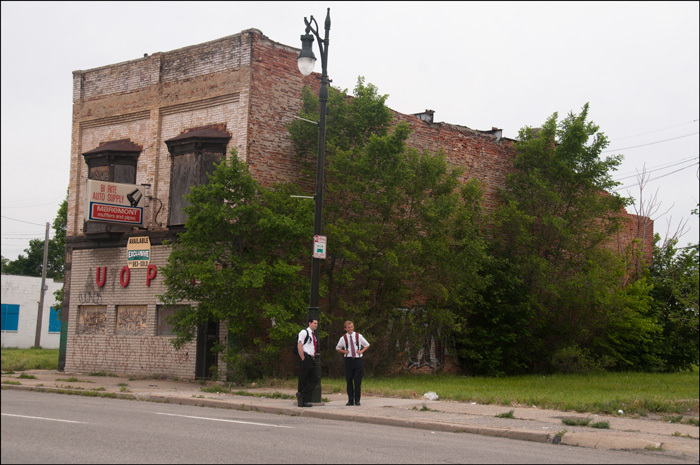 Whenever I see smiling young Mormon boys in their tidy yet oafish uniforms out on the mean streets of Detroit, I wonder about the guy in Provo who gave these poor saps their assignment. They could have been eating wild boar in Umbria and learning to speak Italian to their unkissed beloveds back at BYU. Instead they are clutching their blankets at night in Detroit feeling lucky just to get off that one porch alive. That Mormon God has a sick sense of humor.